The Leight House: The Home and Collections of Leonard and Adele Leight, could well have been titled Living with Art. 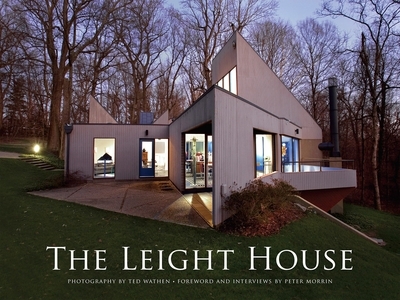 In 1968, the Leights, who were then collectors of ceramics, built a stunning "modern" house in a spectacular wooded setting. Once the house was completed, the Leights began collecting studio art glass, a newly emerging field. Over forty years later, the Leights have assembled one of the foremost studio art glass collections in the United States. The glass collection is exquisitely situated throughout their home. Intermingled with the glass collection is their ceramic and furniture collection. Virtually everything in the house is a collector's piece. The Leight House is not only a room-by-room depiction of the Leights' collection and the architecture that displays it, but a story of how two people collaborated in building what is truly an exceptional home museum.